Dance Commentary by Heather Desaulniers: "Raising the Barre"
It’s the fourth week of November, which in the ballet world means one thing. It is Nutcracker time. Some productions are already underway, while others are entering the final stage of rehearsals. Between now and New Year’s Eve, most national and regional companies will be immersed in this yearly dance tradition. 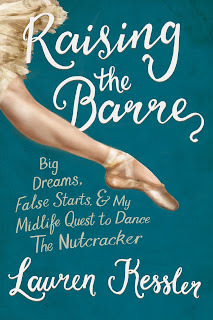 With the release of Lauren Kessler’s Raising the Barre, published by Da Capo Press, there is a new way, another means by which to experience The Nutcracker. It is an entertaining one; an unexpected one. Raising the Barre chronicles a unique and unusual objective – Kessler sets out to perform in Eugene Ballet Company’s The Nutcracker. While certainly a Nutcracker aficionado, having attended performances year upon year, Kessler, now in “midlife” as she describes it, hasn’t set foot in the ballet studio since she was a preteen. And yet, performing as part of this professional production is her goal. Raising the Barre is the story of her journey. Journey is an important term here because it is the notion of ‘the journey’ that makes this book special. Raising the Barre isn’t only about Kessler’s journey to the Nutcracker stage, it is about many other related journeys. The exciting ones, the sad ones, the risky ones, the seemingly impossible ones. And it is told through her incomparably funny and sharing voice. Raising the Barre is intimate, in the sense that it is almost written like a journal. But at the same time, it is accessible, relatable and far-reaching. 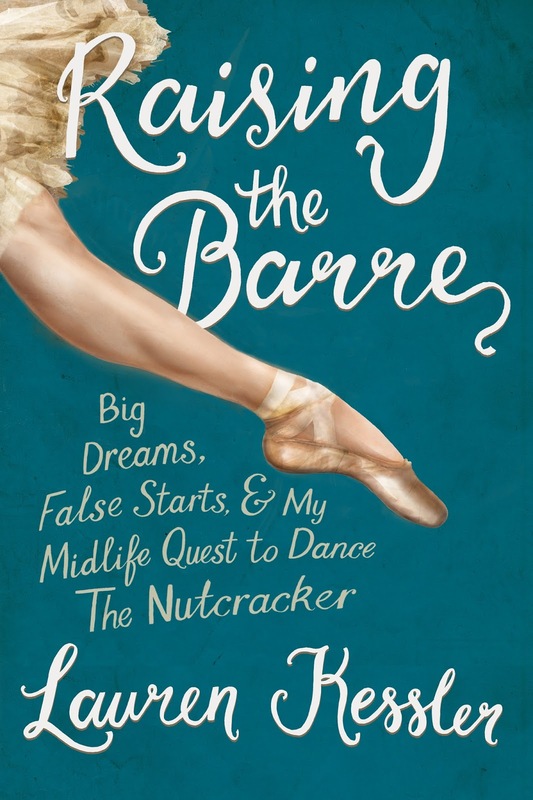 A highly enjoyable read, Raising the Barre is a perfect way to usher in The Nutcracker season. Raising the Barre begins with a very literal journey. In the first chapter (titled ‘The Binge’), we follow Kessler as she travels to see six different Nutcracker performances: Joffrey Ballet, New York City Ballet, American Ballet Theatre, Boston Ballet, San Francisco Ballet and Eugene Ballet Company. This trip ignites and re-ignites something deep within the author - a personal journey that Kessler undertakes and describes in the pages that follow. Questions of ‘what’s next’, ‘why is it next’, ‘what do I want from what’s next’ abound. An array of journeys unfold in the subsequent chapters. The historic journey of The Nutcracker story from dark fable to the world-famous full-length holiday ballet. The gutsy journey of taking something on without knowing how or if it will work out. A journey of significant and varied research; a journey taking stock of ingrained thoughts and beliefs. A journey of meeting new people and building new relationships; a journey of pre-training before stepping foot into a ballet class. The transformative nature of ‘the journey’ leaps from every page. A little less than halfway through Raising the Barre, Kessler reaches a pivotal point, her journey back to ballet class (a major step towards her ultimate goal of performing in EBC’s The Nutcracker). In this second half of the story, the ‘journey’ theme continues. There is a journey of camaraderie. A four-month log-book where Kessler chronicles her journey of prioritization. A journey to re-define words that have been given too much power; the journey from outsider to insider as she ventures into the ballet company. The realities of learning her assigned role in the ballet; the road to the first performance (which fittingly included an actual bus journey); the joys and perils of dance touring. And in a lovely cadence, Raising the Barre does not end with the first performance of The Nutcracker, but instead concludes after the curtain has fallen on closing night as Kessler sits alone contemplating the past year’s events. The true conclusion of her epic journey.